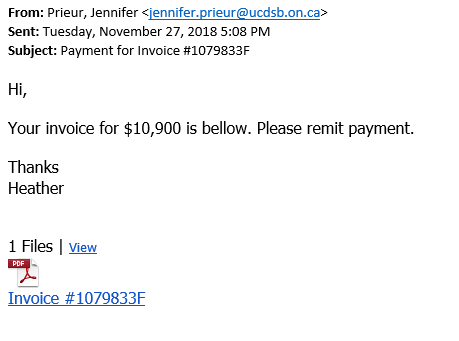 We have received reports of phishing attempts impersonating Deans, Departments Heads, and Faculty. An example is below. 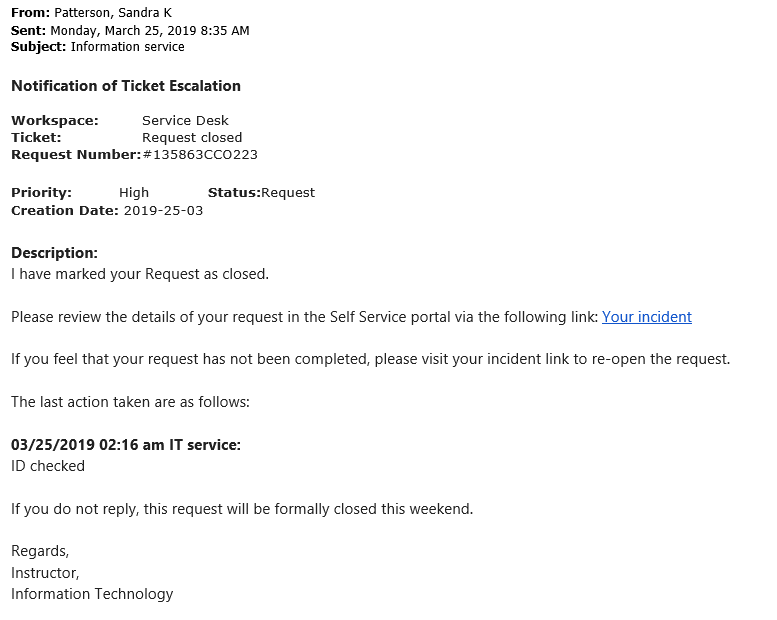 The common elements appear to be Gmail or Outlook accounts and personal assistance requests. 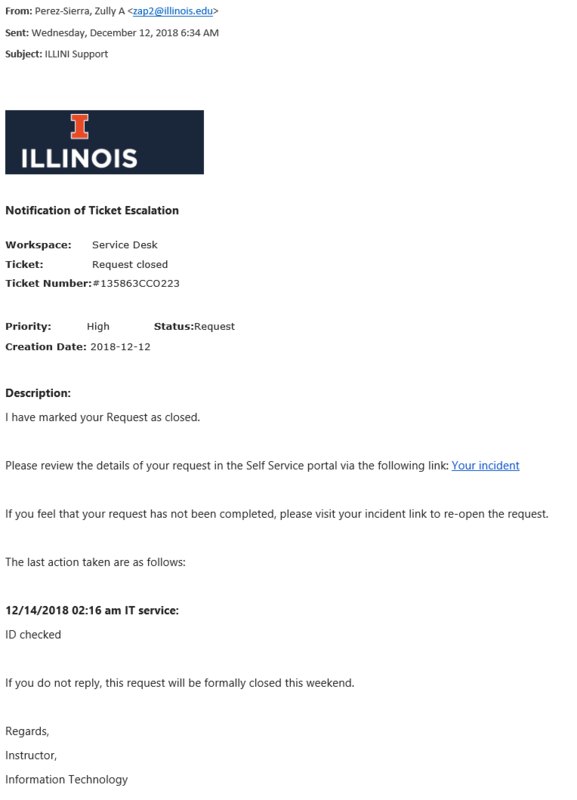 If you receive one of these message, please DO NOT share any information, and send the email as an attachment to report-spam@illinois.edu. 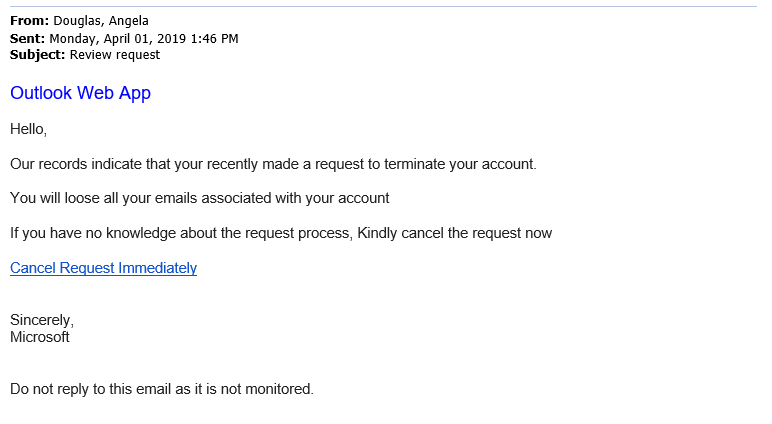 IT Security will report the fraudulent account to Google or Microsoft. The common elements appear to be Gmail accounts and requests for personal phone numbers. 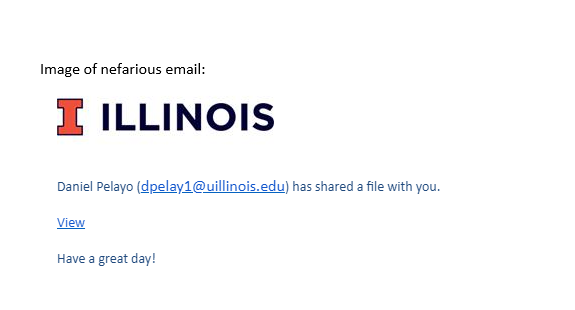 If you receive one of these message, please DO NOT share your information, and send the email as an attachment to report-spam@illinois.edu. IT Security will report the fraudulent account to Google. New alerts will be posted as soon as possible, but this site may not include all phishing attempts. 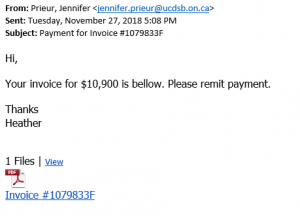 Always be suspicious of email you don’t expect from senders you don’t recognize. 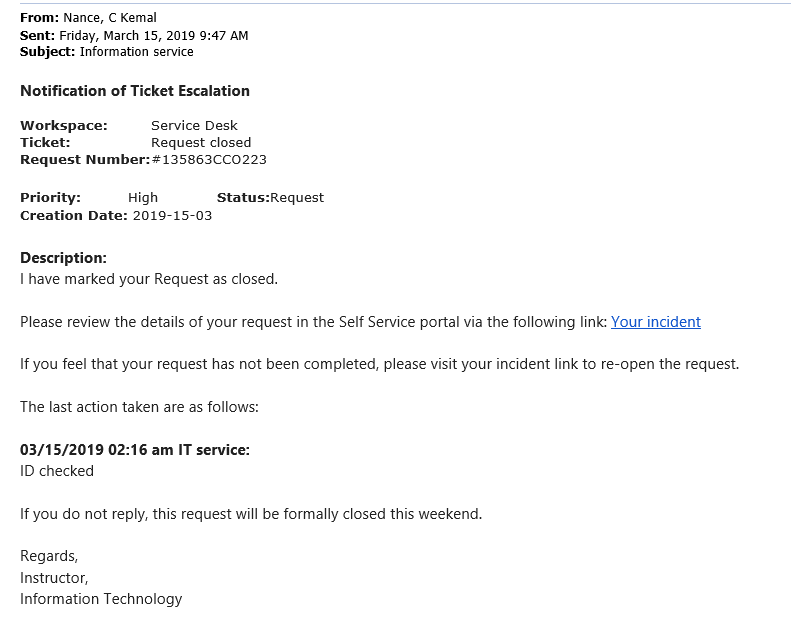 If you believe you may have fallen victim to the attempt, please report it to Campus Security at security@illinois.edu, your IT support team, and your unit’s security liaison. 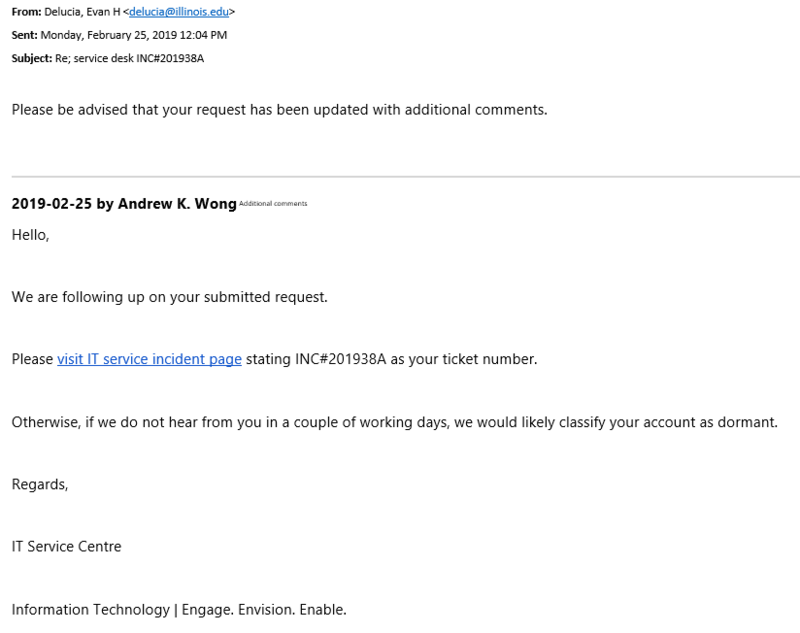 If you need assistance checking the legitimacy of an email, please contact your IT support team. 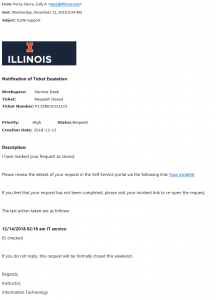 You can also forward any unsolicited email messages as attachments to report-spam@illinois.edu.